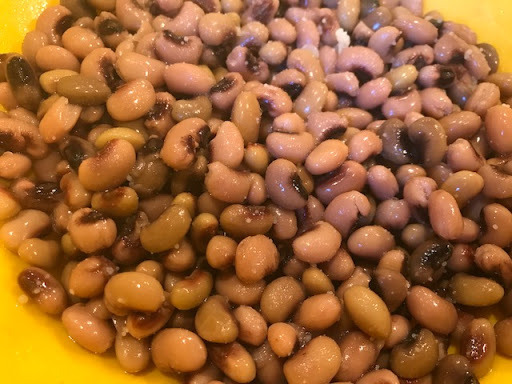 Hoppin’ John is one of those traditional southern dishes that is usually made on New Year’s day. I’ll admit that I’ve never followed that tradition though. This recipe doesn’t follow tradition either. Come to think of it, I’m not sure there is a traditional recipe. I’ve seen it made as a soup, as a dip for chips, served over rice as an entree, or as a side dish. I should probably rename this to Leftover Something because that’s pretty much what it is. It just had a lot of the ingredients you would see in Hoppin’ John. I’ll list how I made mine and I’ll put the traditional ingredients in parenthesis. * Our grands are spending the week with us and I made homemade sloppy joes for dinner last night. 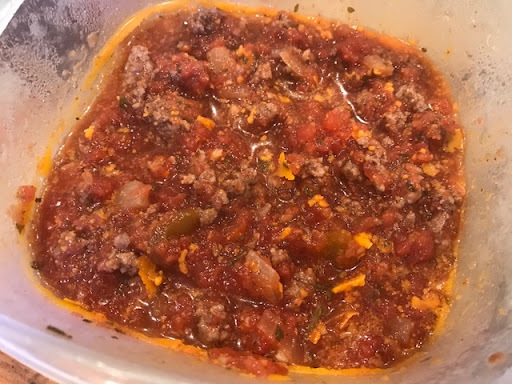 The ingredients were hamburger, onions, tomatoes, brown sugar, Worcestershire Sauce, and various spices. 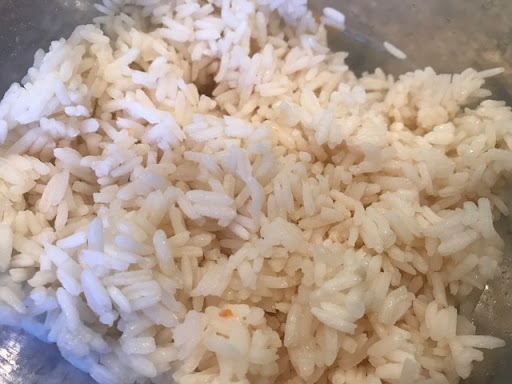 ** I had leftover rice that needed to be used, so I just threw it into the pot with everything else. Most would probably serve hoppin’ john over rice, not cooked with it. Saute the first 7 ingredients until the sausage is almost cooked and the vegetables are beginning to soften. I used the saute function on the Instant Pot because I planned to use it as a slow cooker. Mix well and cook on low for 4 hours. I checked after a couple of hours to make sure I had enough liquid remaining and it was fine.  I also added a few shakes of Sriracha Sauce to spice it up a little more. I will be serving this as a side dish with dinner tonight. If you would prefer a soup, just add more chicken stock until it is the consistency you want.